Perris Straughter, AICP is a licensed professional planner and has worked for over ten years in the field of planning and urban economic development. He also has a wealth of experience in the nonprofit field as a founding member of four nonprofit boards and part-time director of two nonprofit organizations. I am the Director of Queens & Staten Island Planning for New York City's Department of Housing Preservation & Development. I work for New York City's Department of Housing Preservation and Development, leading the City's planning efforts related to affordable housing development in Queens and Staten Island. In this role, I oversee the planning for the redevelopment of over 100 acres of city-owned land for the purpose of bringing thousands of new affordable housing units into production. Prior to that, I worked for the City of Newark, New Jersey where I had a variety of planning and development roles over eight years. I worked on downtown redevelopment planning and several neighborhood planning initiatives when I first arrived in Newark, then moved into an economic development role, managing several commercial revitalization programs. After that, I took over Newark's nascent public art program and helped the program create dozens of murals across the city. I then managed the City's Planning Board, which grants most discretionary planning approvals. Before I left Newark I oversaw all planning approvals processes for the City, including the Zoning Board and Historic Preservation Commission. Prior to Newark, I was in graduate school, during which I interned for the City of Philadelphia and the City of Oakland, California. 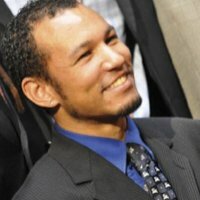 What is your perspective about going from Newark government to New York City government? I started working in Newark at the beginning of Cory Booker administration. It was an exciting time for new people, ideas and looking at how we could do things differently. Previously, there hadn't been a lot of comprehensive planning, so we had our work ahead of us. We completed a master plan and rewrote the zoning code, a complete overhaul, which hadn't been done in 60 years. Planning was a priority for the Booker administration and we had ambitious goals. The work we set out to accomplish was completed under next mayor. From this, I learned planning is susceptible to politics of elected officials, as civil servants we are the ones that provide the continuity. It's really been encouraging to me, to learn the value a planner provides in holding steady on the vision and advancing projects. Planners understand neighborhoods, stakeholders and have the relationships that go beyond the cycle of campaigns, the work we do to foster relationships with the community is at the core of creating sustainable change. It's been interesting to go from a smaller city to the largest city in the U.S. It's given me a new perspective. What I like about a small city is that you have more power and influence even as a younger planner you get a chance to work on a broader breadth of projects. Now, that I've moved to the largest city in the nation, the most notable difference is the number of resources available and experienced planners is impressive. You have a more limited role in a larger city, with more geographic area and population that creates a tremendous bureaucracy and with that your role narrows. In a smaller city, you have broader responsibilities because there are fewer people while in a large city there is a more defined infrastructure. My Newark job affected 300,00 people. My current role in NYC affects 2 million people. You work in housing development agency in NYC can you talk more about efforts around incorporating more "community engagement/planning" into what's usually just executed as broad policy? There is a focus in the de Blasio administration to break down the silos typical of large government. The focus is on neighborhood planning — comprehensive planning — how affordable housing impacts the neighborhood, jobs and other services, such as schools and open spaces. The city has undergone a lot of development often creating tension with infrastructure, jobs, and housing. We see housing going up that is out of our reach. Our efforts are focused on community engagement to address concerns, and that means we spend a lot of time in the community to make sure that people are being heard. We go through a process of transparency that focuses on the clarity of and understanding by the public about their involvement in the process. People want to be treated fairly, they might not always agree with the outcome, but they want to be in on the process and that process needs to be fair and open giving them the opportunity to voice their concerns. How do your professional planning knowledge, skills, and abilities inform your role? A planner is trained to constantly think about the connections between people and place. As part of this, a planner is always asking questions about this connection, and knowing what questions to ask is critically important to work that impacts the built environment. Some examples of these questions are: Why do people gather here? Why don't people use this space? Where do people here work and how do they get to work? Where do they shop? Where are the key gathering places in the neighborhood? What's missing from this neighborhood? My graduate school training lacked a design focus and virtually all my knowledge of site plan review, architecture, GIS and urban design generally was learned on the job. It's essential to be customer-oriented and have a strong sense of public service. Planning is for the people. And learning how to be responsive to a diverse array of clients, from the big real estate developer to the resident who has virtually no understanding of the planning process, is the most important skill to master. Some other skills that help are being extremely detail-oriented, exceptionally perceptive to visuals, particularly the built environment, and a broad and deep grasp of economic principles. A typical day involves a combination of desk work and meetings. On a more limited basis, there is field work including site visits. I do less site and building plan review in my current role than most planners and instead do more evaluation of developer proposals generally, including reviewing financing proposals. Site feasibility analyses and neighborhood planning studies are also a regular part of the work. Managing a public art program for four years was totally unexpected and was the delight of my career to date. It required the use of planning skill sets that I didn't imagine it would but allowed me exposure to work that many planners do not get to do on a regular basis, including fundraising, youth engagement, and at times physical labor. I definitely underestimated myself and my abilities and at times did not ask for what I wanted. The times that I've asked for what I've wanted it hasn't always translated to success but the few times it has shown that it's worth it. A closed mouth doesn't get fed. I believe affordable housing is the number one priority for New York City. If neighborhoods do not continue to be affordable to most New Yorkers. The city is changing rapidly, not only in New York, not just gentrification, as it becomes more expensive the demographics change and housing can abate this to maintain the diversity of the city affordable housing is the way to preserve what it is that makes the city great. Our work feels like a drop in the bucket. The mayor not only the tremendous need it's a priority #1 issue of the mayor working in housing where housing we're in the public limelight more than other aspects of planning and your priorities are the same as the mayor's which is rarely the case — its very exciting. Get as much exposure to the field as you can and not just internships but by attending planning meetings, going on informational interviews and keeping up with public discourse on planning and development issues generally. An internship with the City of Oakland, CA. I've always loved and been fascinated by cities, downtowns, trains, streets and freeways, I've been drawing maps and buildings since I was a child, so planning was a natural fit. I volunteer for nonprofits and travel. Traveling is very important as a planner.